Our hospital offers x-ray technology which is used to help our doctors diagnose potential problems or diseases in your pet. 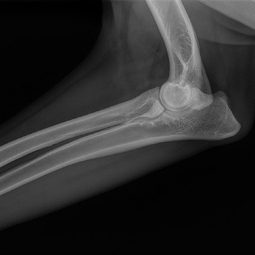 X-rays are often able to detect conditions that might otherwise be overlooked. Some examples include arthritis, fractures, tumors, heart disease, bladder and kidney stones, foreign bodies, pneumonia and other lung diseases. On occasion additional test may be necessary to diagnose and treat your pet.